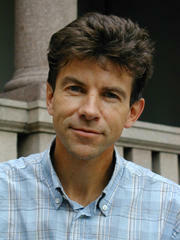 Dag O. Hessen, professor of biology at the University of Oslo, served as a group leader at CAS during the 2003/04 academic year for the project Food-webs, Stoichiometry, and Population Dynamics. Since then, Hessen has continued his work as one of Norway’s leading biologists, for example through his work at UiO’s Centre for Ecological and Evolutionary Synthesis (CEES), founded in 2007 as a Norwegian Centre of Excellence. But he has also established himself as a recognized voice in the national conversation, winning both praise and awards for his public speaking and writing. Hessen looked back at his residency at CAS in an interview last month. I look back on it fondly. Actually, I’d say we continue to reap the benefits of our stay at CAS. Some of our most cited journal articles emerged from our stay, including a highly cited review article and an article in Science. That was maybe four or five years after our year at CAS. It’s funny to look back and see how the ideas planted back then have sprouted. It’s a kind of an evolution, the way you research, and you can see it sprout in different directions like the branches of a tree. At that point in my career, I was really focused on the subject matter. The residency was an opportunity to really engross myself in my field. Since then, I’ve made an effort to create a balance in my life between doing a thorough job as a scholar of biology and writing books, participating in debates, and involving myself in topics that may not exactly be considered central to my field. One could say I’ve involved myself in too many things, but that’s not something I regret. I’m satisfied that I’ve been able to keep a foot in both camps. I feel like it adds an extra dimension to being a scholar. You have to make plans well in advance. When we first sat down to write the initial application, I remember thinking that we had an ocean of time. But it really takes a lot of planning. It’s really important to find at least two or three central scholars who can commit to a long-term stay. It’s also important that you define some clear goals from the outset. It could be something as concrete as that your work will end up forming the basis of a grant application to the EU or somewhere else, or that you plan to write a couple of journal articles. It’s helpful to have some milestones to navigate by.